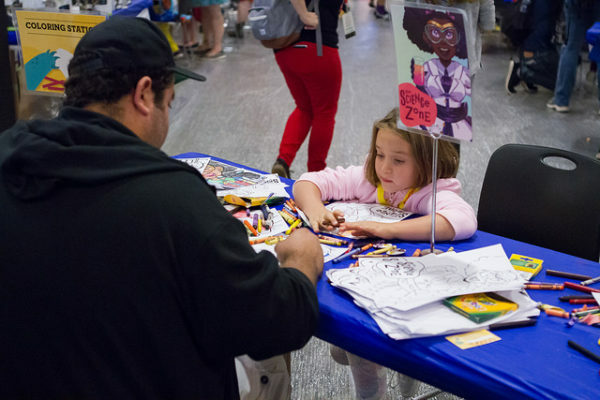 Image description: a young attendee colors in with crayons at the Science Zone at GeekGirlCon. After a week of feasting, hanging out with family, fighting lines at stores, and shopping online, Giving Tuesday is upon us! #GivingTuesday is a movement–it even has its own hashtag–that’s set right in the middle of all your holiday shopping as a day to give back to nonprofit organizations so that we can keep doing things that you love. 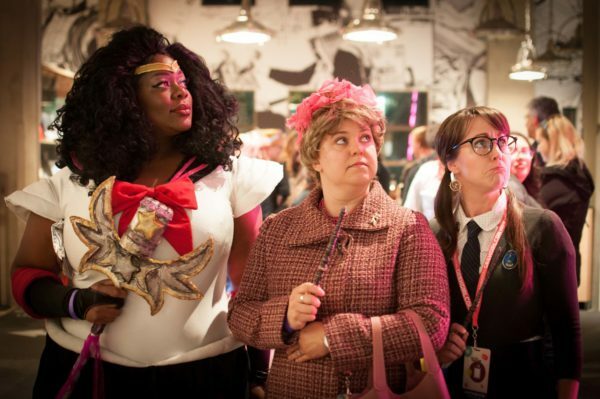 As a 501(c)(3) nonprofit, GeekGirlCon is entirely volunteer-powered and rely on donations to fulfil our mission to support, empower, and celebrate women and girls in all areas of geekdom. 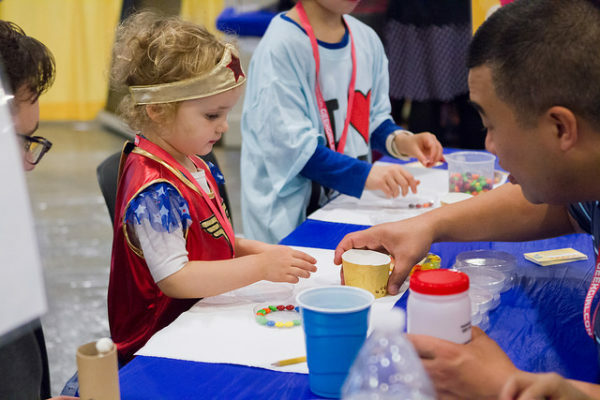 Image description: a young attendee in a Wonder Woman costume does a science experiment with beads and cups at the DIY Science Zone. Today from 5am PST, PayPal and Facebook are partnering to match 100% of donations made for Giving Tuesday, up to a total of $7 million. This means that every dollar that you donate to GeekGirlCon today will be matched so that your donation will go twice as far. Since donation matching will continue until the $7m runs out, the earlier you donate in the day, the better! Our focus this year is on raising funds for our famed DIY Science Zone! What better way to foster a love of science in the next generation of geeks than to do all the science with them? Funding the DIYSciZone allows us to invite more scientists, do bigger experiments, and grow the Zone, all for the love of science! 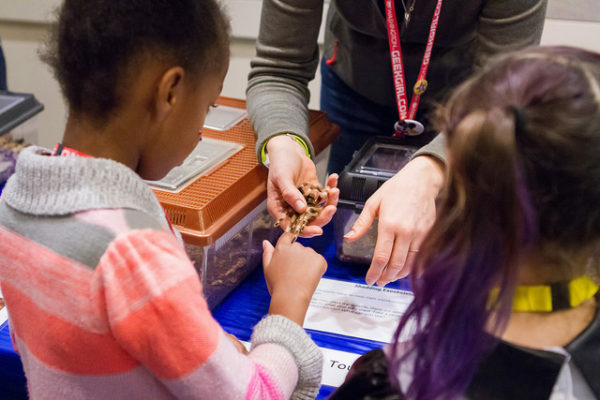 Image description: A young attendee pets a spotted spider in the DIY Science Zone. Year-round activities, such as our Board Game Nights at Wayward Coffeehouse. Outreach in the Greater Seattle Area, such as Atomic Comicon or the PAX Diversity Lounge. Programming, such as featured contributors, speakers, and workshops at the convention. Regardless of how you contribute, your donation will make an impact, and we truly appreciate the strength, kindness, and generosity of our community. We truly wouldn’t be able to do it without you! Tomorrow, November 28th, is #GivingTuesday! A global day of giving, #GivingTuesday is a movement. A day set aside from the Holiday shopping, in the midst of Black Friday and Cyber Monday, #GivingTuesday is a day to give to the organizations that you love and support.